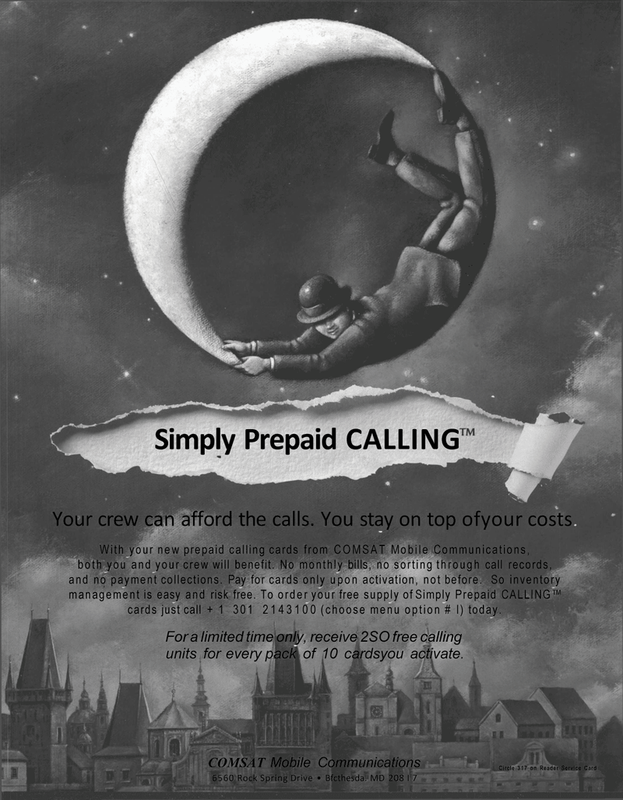 With your new prepaid calling cards from COMSAT Mobile Communications, both you and your crew will benefit. No monthly bills, no sorting through call records, and no payment collections. Pay for cards only upon activation, not before. So inventory management is easy and risk free. To order your free supply of Simply Prepaid CALLING™ cards just call + 1 301 2143100 (choose menu option # I) today. For a limited time only, receive 2SO free calling units for every pack of 10 cardsyou activate.